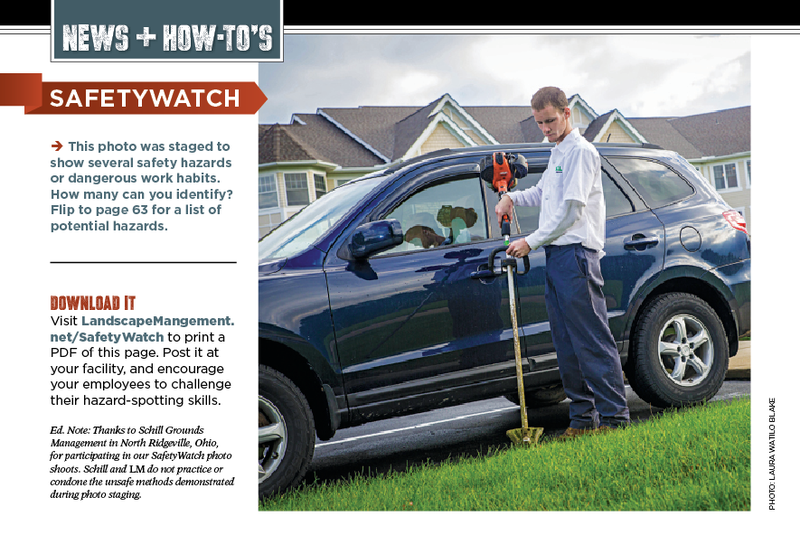 Featured is a PDF version of the February 2015 SafetyWatch on string trimming. 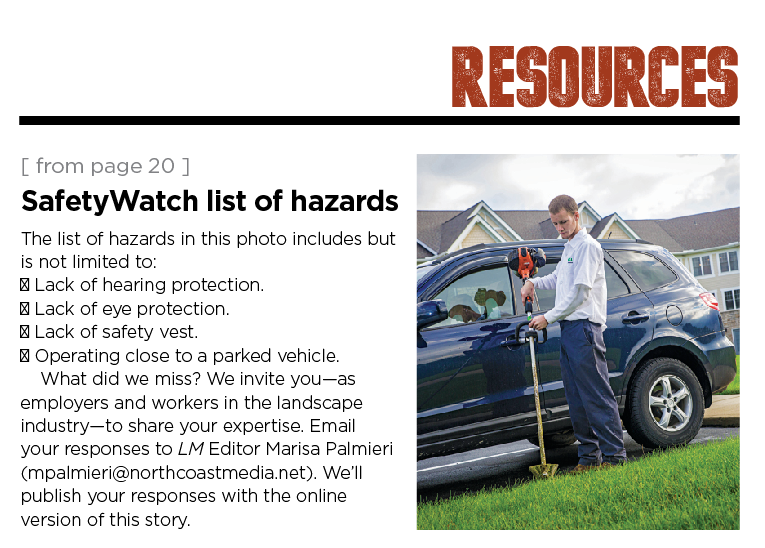 See how many safety hazards your employees can identify. Click here to identify the string trimming hazards. Click here to see the list of string trimming hazards.